Just today, on the way down here, I received news that an old family friend had passed yesterday. On the topic of Small Graces, I'm reminded of her life and her story, and how much it influenced my and my family's journey. 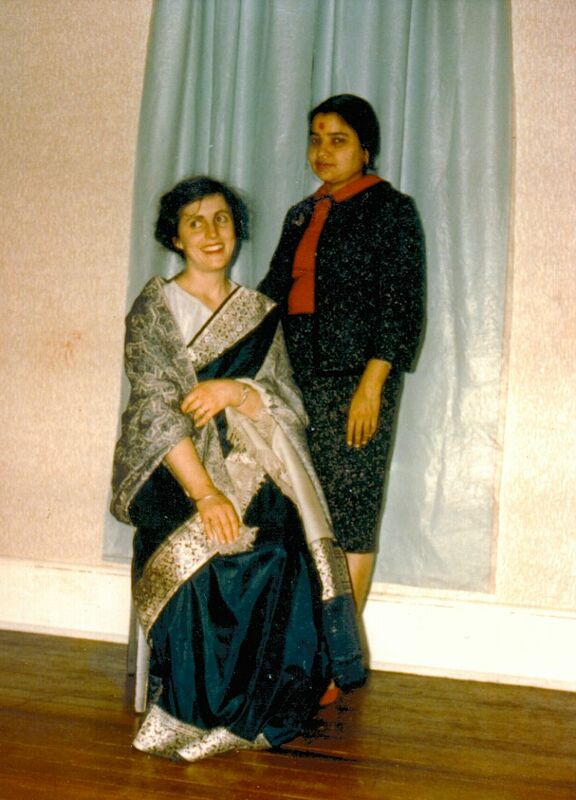 My parents came to the U.S. from India in the 1960s, along with the first wave of immigrants from India. My father came to Kansas, which is where he was getting his Ph.D. Six months later, my mother came with the three of us kids -- my sister, my brother, and me. We were just two, four and five years old. It was the very first winter we were in Kansas. It was cold. We didn't yet have heavy coats. My parents were coming from India, and well, it took a while for them to kind of figure this stuff out. They didn’t yet have a concept of how cold it really could get in the Midwest, and so every day was a new surprise. We didn't yet have a car or anything like that, and my Dad didn’t have a US driver’s license yet. Back then, there were few Indians anywhere around. There were few brown people, few black people in university settings. If you think back to America before the Civil War, the question of whether slavery would be allowed in the Kansas-Nebraska territories was part of what triggered the start of the Civil War. It was Kansas in the 1960s, Jim Crow laws were in the very recent past in parts of this country, and there was still some of that segregated mindset and reality around. But anyway, my father was getting his Ph.D., and he would walk up and down the big hill to and from campus on a regular basis. This hill felt huge. I don't think it's actually very big, but it felt huge at the time, from my two-year-old vantage point. Since I was two, I didn't go to school, but my brother and sister were in school. My father would walk down this big hill every day to take them to school, and then walk back up the hill to go to the university. After about two or three weeks of this, this woman with her son who apparently was in my sister's first-grade class started noticing them. On one very cold and snowy day when they weren’t dressed warmly enough for the weather, she pulled up and she said, "You know, I see you walking every day. Can I take can I take your daughter and son to school? Would you like a ride?" My dad responded (to the surprise of my sister), "Yes, that would be great." And so they hopped in the warm car on a brutally cold day, and she started doing this every day. Her name was Valerie. And this family just became so dear to my family -- I can't even begin to describe it -- over 50 years now, just how much they meant to us. It just started off with this small act of offering a ride, and then from there it just ballooned, and she and my mother became very close. 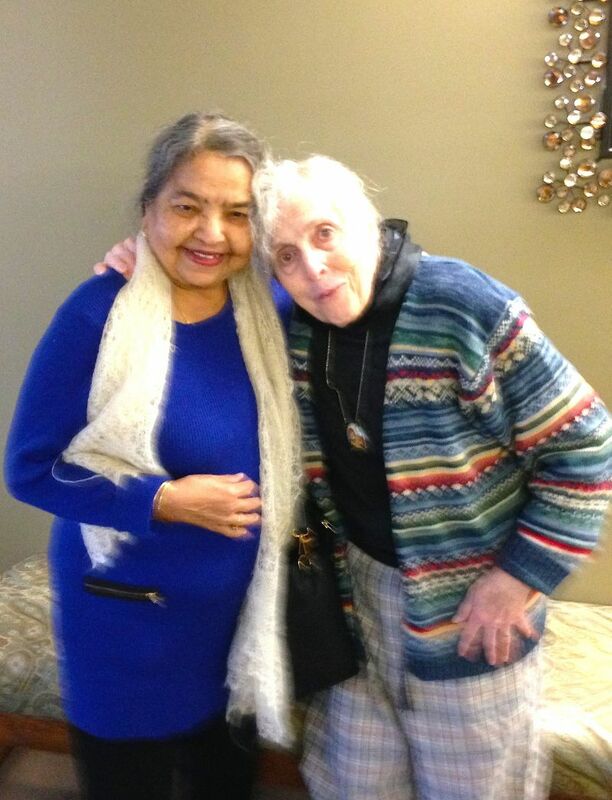 She would give my mother rides to go grocery shopping, and my mother loved to cook Indian food for her. There were just all these little exchanges between our families. They had three kids roughly the same ages as my siblings and me. We just became incredibly close. It's just blossomed into this unbelievable friendship over so many decades. And it has meant so much to our family throughout those 50 years. I mean, when I think back, it's just remarkable that back in the mid-1960s, this woman started offering love in this way. In March of this year, 2017, when I heard about the shooting of the Indian man in Kansas in what has since been described as a hate crime, I thought really hard about Val. The fact that 50 years ago she would model love and grace in her so natural and effortless way, and how beautiful that ended up being for my family. There are so many, so many mutual small acts that kind of went from there. The two families in 1969 in Lawrence, Kansas. The first Christmas, my brother in his grade school class won their class Christmas tree to take home over Christmas break and it seemed kind of magical. Then we -- this Hindu family in Kansas -- had a real Christmas tree :) I think we laugh about it now, and I joke, "I'm sure that was not an accident that he won the Christmas tree.” Anyway back then it felt magical. But we didn't know what to do with it. We put up this Christmas tree, but weren’t familiar with the customs about it. Val came swooping in on Christmas Eve that year with gifts to fill the space under the tree! She was Santa that year, and when we woke up, it was just unbelievable. At that point, we had just been in the country a short while. And to this day, the stockings Val gifted to us for our first Christmas in America are the stockings that we display every Christmas! There are all these beautiful stories. I just learned today that she passed on yesterday. Over the years, our families kept in touch, but we didn't see each other all that often. Perhaps just once a decade. Over time, she and her husband were quite frail, and they couldn't travel. So our in-person contact increasingly became less. But the emotional feelings and connection always remained strong and the kids remained in touch. And the really remarkable thing is that my mother -- just ten days ago, my mother suddenly had the intuition, "I need to go see Val" and she and my Dad went to visit her quite spontaneously. They had no particular reason to. Val wasn't ill. She was just, you know, growing increasingly frail. But it was just this incredible intuition that my mother had, and the beauty is that she and my Dad were able to spend time with Val and enjoy one final visit just very recently. And then I heard today that Val just passed on. We're just really grateful for the small blessings, the small graces, that our families exchanged and enjoyed over the years. What a beautiful story of Valerie's kindness over the last 50 years, all starting with one small act of offering a ride. Thanks for sharing! Indeed -- what a beautiful story. Thank you for sharing, Preeta! 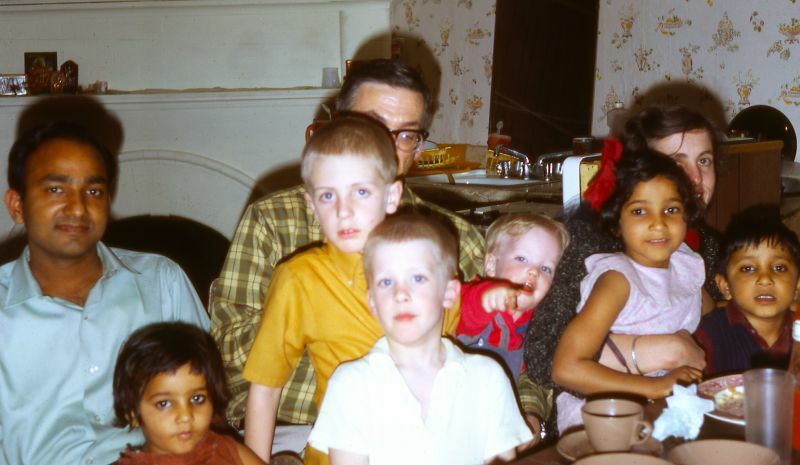 I love this story of your Indian immigrant family in Kansas. Thank you Preeta! This was so beautiful to read...it almost brought tears to my eyes for some reason..you never know what the simplest, smallest gesture might meant to someone else. Lovely story. Thank you for the blessing of this tale of kindness.